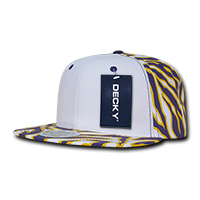 The promotional Ziger White Front Snapback is really the call of the wild. Take your brand to the limit and really go wild! Unleash a bit of your inner explorer and fancy venturing right into the wild with a specially customised Ziger White Front Snapback. “Ziger” is a play on the two words “zebra” and “tiger,” and that best captures the cool combo you can have in this cap when you print it with your logo of choice in the colours of black, navy, navy/red, purple, red, or royal. This six-paneled cap follows a classic design, having stitched eyelets, a retro flat peak, and a plastic snapback enclosure for any size. 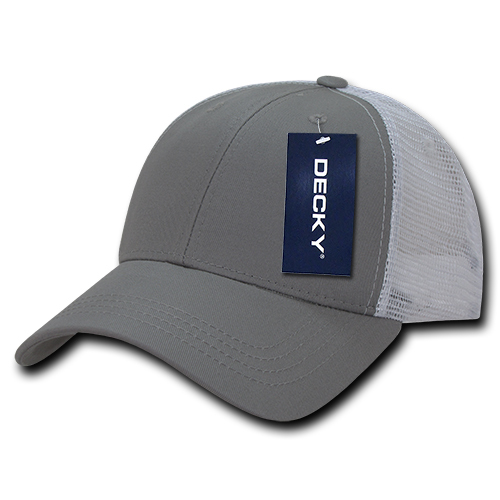 The soft, lightweight feel of cotton in this cap comes from its quality blend of 75% cotton and 25% acrylic with a cotton sweatband, maximising both your comfort and your style. The cap is easy to wash and maintain—perfect in the smack of the summer, where it could be either an essential or a statement piece at the next outing. 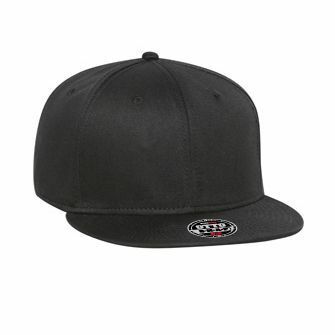 The front panel of this cap is just the right space for your company’s logo or design of choice. An accessory like the custom printed Ziger White Front Snapback will look flashy outdoors, at a sports festival, or whatever environment where you’d like to flash your brand. 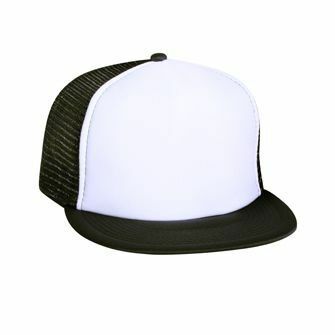 Gift this cap as a stylish souvenir to your partners, clients, or staff and they will surely be impressed. At our website, you can find a good range of promotional Snapback caps that we highly recommend you take a look at. We have a nice customised Corduroy Snapback Cap that’s sure to complement most style of clothing. And if you really want another promotional product that will nicely complement your wearable giveaways, our branded Chocolates will certainly make a nice partner. We can be reached via live chat, or by calling our hotline number via 1300 008 300. Let us know if you need any help.